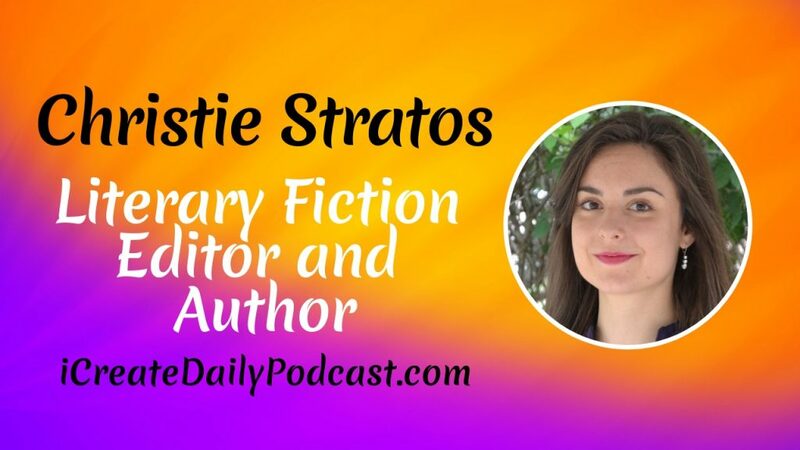 To say that Christie Stratos is a literary fiction editor, is to just be getting warmed up in describing her accomplishments. We first met Christie as a fellow panelist on the Writer’s Imperfect show hosted by another iCreateDaily guest, Joshua Robertson. 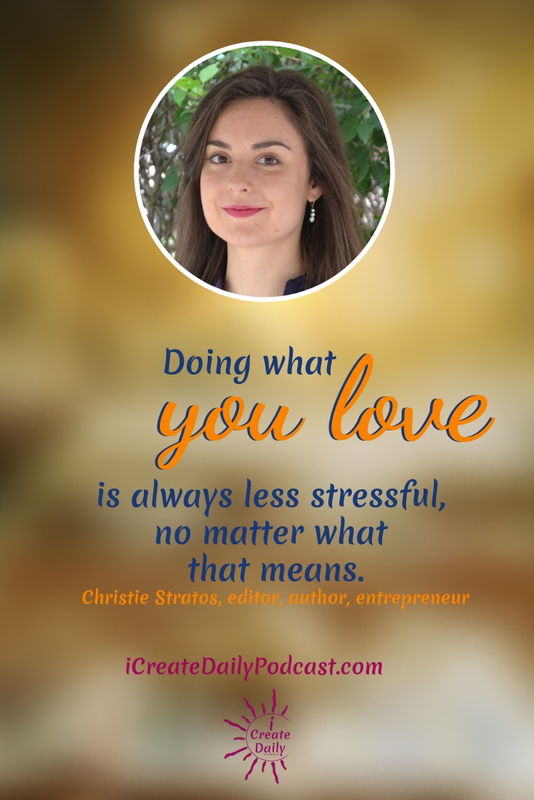 Christie Stratos is a podcaster and award-winning writer, author, and literary fiction editor where she puts her degree in English Literature to good use. Christie is the author of two fiction books to date, and working on another. She enjoys researching and writing Victorian-era fiction, which she calls her Dark Victoriana Collection. Christie has also had short stories and poetry published in: Ginosko Literary Journal, Andromedae Review, 99Fiction, and various anthologies. An avid reader of all genres and world literature, Christie reads everything from bestsellers to classics to indies. Christie is also the host of two podcasts! The Writer’s Edge which features discussions from various author panels. We were so immersed in the conversation that we forgot to ask about her daily creative habits During the interview. But Christie graciously emailed us an account of how she overcame some writing blocks that prevented her from daily writing, which we’ve posted below the interview. We thoroughly enjoyed our time with Christie Stratos, and think that you will as well. “As motivational speaker Mel Robbins says, your brain “protects” itself by trying to help you avoid unpleasant and difficult experiences—and that is rarely to our benefit in day-to-day life. By retraining my brain to be able to work anywhere at any time, creativity became my tool, available to me always. A podcast for creators serious about their art.